A Diabetic Podiatrist working at an acute NHS hospital clinic has won this year’s Cosyfeet Podiatry Award. 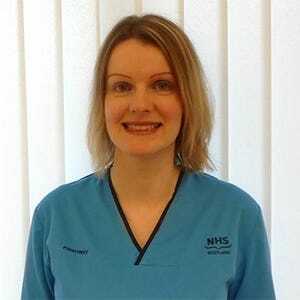 Marie Stirling, a Diabetic Podiatrist working in Dr Grays, an acute NHS hospital clinic within NHS Grampian, has won this year’s Cosyfeet Podiatry Award. She will use the £1000 to help fund a trial that will test a new method of offloading pressure from diabetic foot ulcers. The Cosyfeet Podiatry Award assists podiatrists and podiatry students to develop their professional knowledge and skills while benefitting others. The award is open to those who are planning voluntary work, a work placement or research, whether in the UK or abroad.